Mark Hunt stunned, and even dropped Fabricio Werdum (pictured) with a right hand, in the opening round of their shootout. Unfortunately for Hunt, the self-proclaimed “KFC King,” Werdum unleashed a knee to the grill in the second stanza and it was pretty much a wrap from there. The official stoppage came at 2:27 in the second stanza. 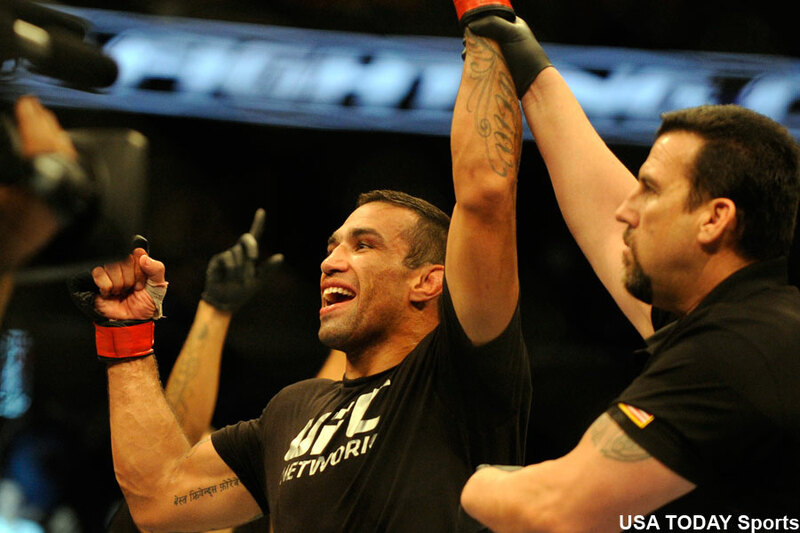 Werdum is now the UFC’s interim heavyweight champion, despite the fact they released him in 2008 after he refused to take a pay cut following a convincing loss to former champ Junior dos Santos. If champion Cain Velasquez can get healthy, they will unify the title in early 2015. UFC 180 took place inside Arena Ciudad de Mexico in Mexico City.